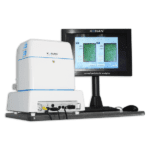 The CellChek XL from Vision Equipment Inc., delivers cellular level imaging of the corneal endothelium with the industry’s most comprehensive tools for cellular morphology and trending analysis. 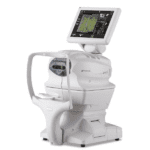 The system is used globally for routine clinical use including many of the leading medical and surgical applications such as: ICLs (FDA labeling requires), cataract surgery and premium IOLs, glaucoma medication assessment, DSEK / DMEK, keratoconus, and corneal cross-linking (CXL). 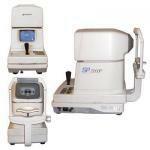 Many clinicians also use specular microscopy for clinical assessment of contact lens related corneal distress. 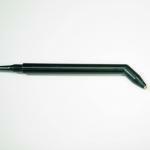 Purchase this probe if you have damaged or need a back up pachymeter probe to use with your PalmScan P2000 or AP2000 device. 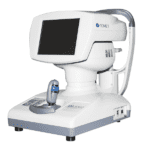 This high frequency, high bandwidth probe is the state-of-art in ultrasonic probe technology for ophthalmic corneal measurements. 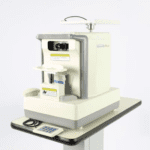 Enables measurements of ultra fine structures as well as diseased corneas and peripheral corneal measurements.